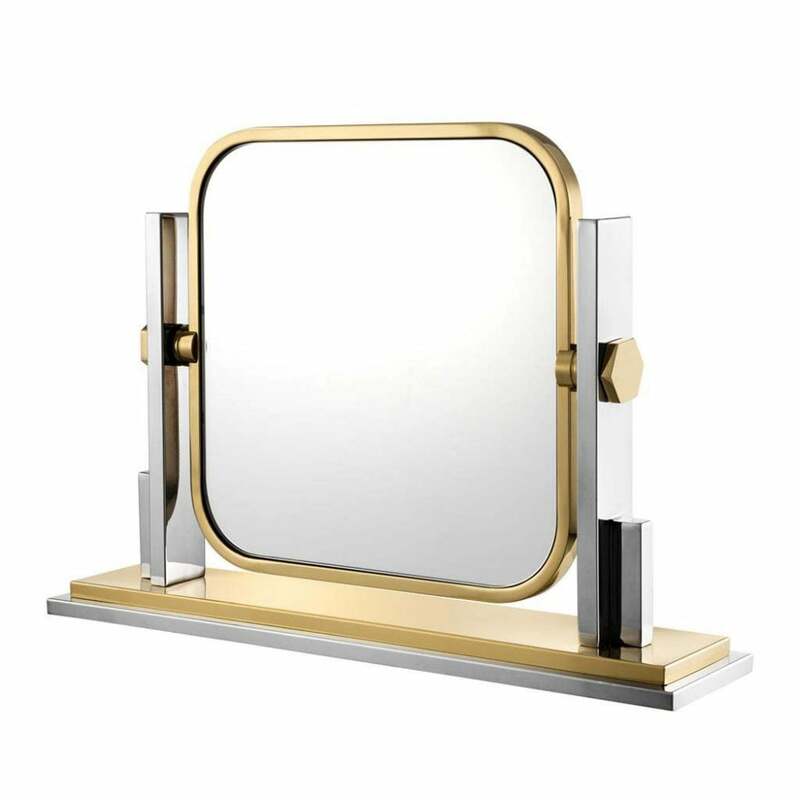 The Carmen Table Mirror by Eichholtz features a square frame with soft curved edges. Inspired by Art Deco interiors the mirror is crafted with polished stainless steel and a modern gold finish. The perfect addition to a dressing table or bathroom, Carmen has a mixed metallic look that is both contemporary and timeless. The mirror is fixed to a sturdy plinth with a hinged mechanism. Carmen can be tilted to the desired angle for when you are completing your beauty rituals or creating beautiful make-up looks for evenings out. A little piece of luxury, Carmen will bring glamour to any home interior.